April is National Car Care Month. 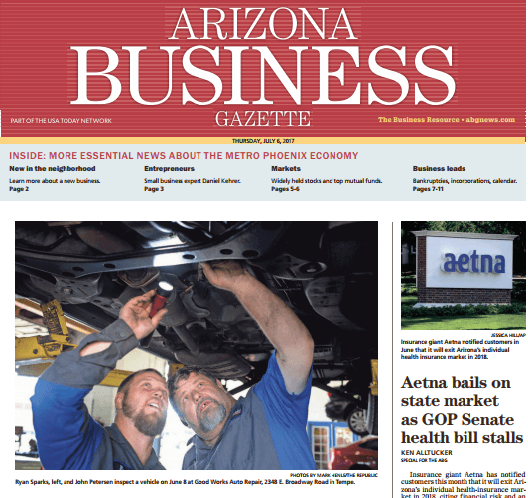 What better time to get your car in tip-top shape for the long, hot Arizona summer? It’s an odd comparison, but taking care of your car is a lot like taking care of your teeth. By that, I mean, dentist recommend you get regular cleanings twice a year. While i’s not exactly the most fun you’ll have in the afternoon, scheduling these checkups will save you pain and cost in the long run. Preventative maintenance on your car is the same philosophy. Routine service can head off big and expensive repairs down the road. You can budget for regular maintenance so it wont break your wallet. Plus, having your car serviced once or twice a year is likely to keep you from being stranded on the side of the road in triple-digit temperatures. As a consumer, where should you start? 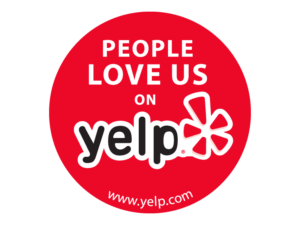 First, look for a well qualified professional, like a member of the Neighborhood Automotive Repair Professionals (NARPRO). Unlike the average car owner, pros know what they are looking for when it comes to checking for wear-and-tear on a vehicle. Belts, hoses, and windshield wipers. These rubber parts can take a real beating in the Arizona sun. Auto mechanics will look for cracks, drying and splitting. Repairing a belt or hose can be the difference between a $100 fix and a $1,000 fix. Battery. The hot, dry Arizona climate can seriously shorten the life of a car battery. Pan to replace these every two or three years. A good auto repair shop can test your batter to assure it’s operating at maximum capacity, which will help you avoid being stranded. Tires. Proper inflation is critical to maximizing fuel efficiency and lengthening the life of a tire. Tires also dry out int he heat, running a risk of a deadly blowout. Have a pro rotate and balance your tires every 6,000 miles. Check fluids, including oil, brake, transmission and coolant to assure all parts of your vehicle are functioning properly all summer long. Air-conditioning checkup. Have your AC serviced before it stops working. Failing to catch a leaky hose can lead to a bigger, more expensive problem, like compressor breakdown. Most reputable shops will perform summer inspections at no cost. 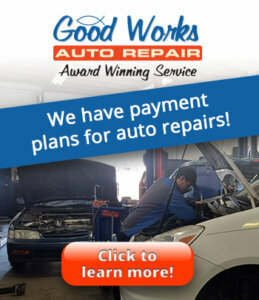 Make it a goal to build a relationship with a trustworthy auto mechanic who is willing to actually show you the parts that need to be replaced or repaired and you will not only have peace of ind, you will have a safe and functional car! 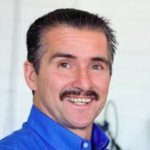 Glen Hayward is the owner of Good Works Auto Repair in Tempe and is a board member of the Neighborhood Auto Repair Professionals. 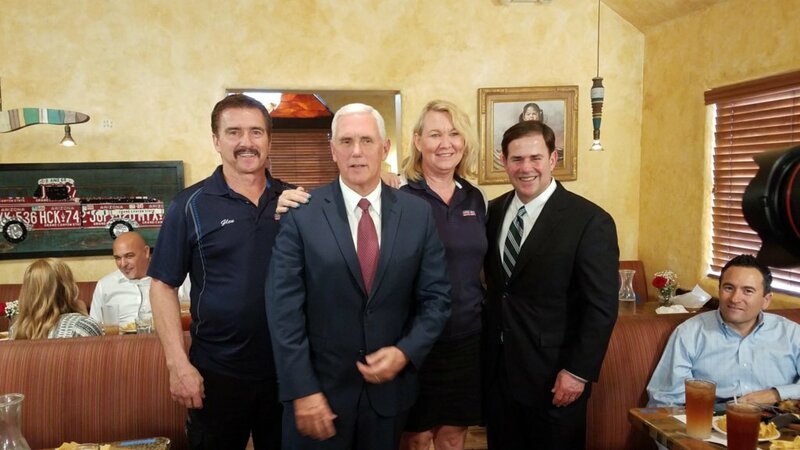 Vice President Mike Pence met with local community and business leaders in Phoenix on Tuesday, October 3rd. Our own Glen and RaeAnn Hayward were there and had a nice sit-down with the vice president. He was in town talking about the need for tax reform. 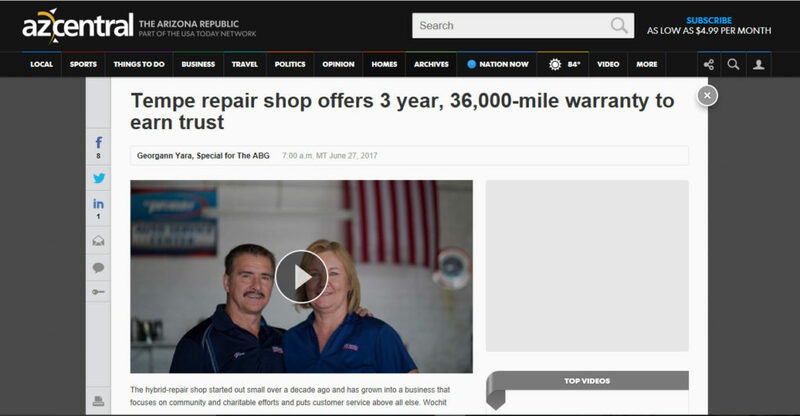 In his speech, he stated that President Trump wanted him “to listen to the job creators and to listen to the great leadership in Arizona about the best way to go forward.” What a privilege that Good Works Auto Repair was invited to join in the conversation! To read the full article please click here. KTVK Interview - No You Don't HAVE to Replace Your Hybrid Battery! Don't Get Stranded This Summer!! 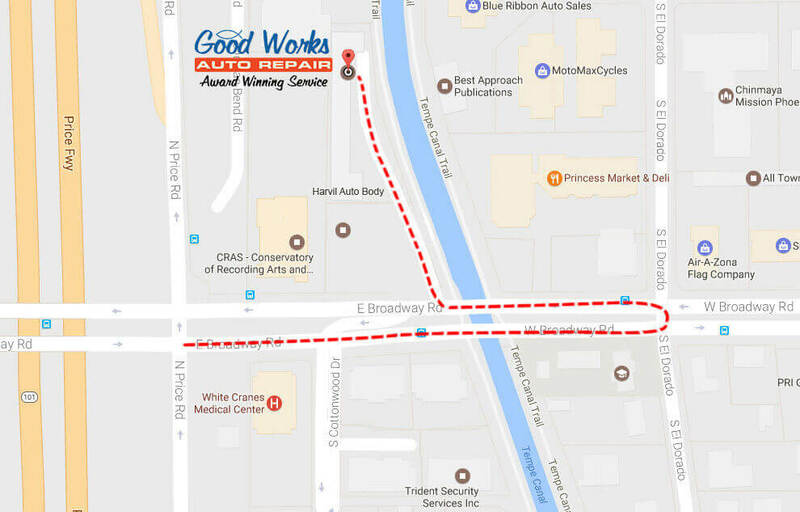 Good Works Auto Repair recently teamed up with Channel 3's The Surprise Squad and Helping Hands for Single Moms to surprise Shauna, a hardworking mother of two with a safe and reliable vehicle. Through a very generous donation from Glen's mother, the car was provided by Good Works Auto Repair to Shauna after going through all of the inspections. Congratulations Shauna! Thank you for all of your hard work. The team at Good Works Auto Repair wishes you the best!